By Sarah Lavelle | October 9, 2012. St. Pat's supporters cheer on their team at Oriel Park. Strikes from Kenny Browne, Greg Bolger and Sean O’Connor saw St. Patrick’s Athletic stroll to victory over a lacklustre Dundalk side in Sunday’s FAI Cup semi-final at Oriel Park. Already at the bottom of the league, Dundalk’s prospects were damaged further by the loss of midfielder Stephen Maher and defender Paul Whelan as they were cup-tied. In stark contrast to their beleaguered hosts, Pat’s boss Liam Buckley had a near full strength squad to choose from. His side continued their hunt for that most elusive of entities around Richmond Park in recent decades – an FAI Cup winner’s medal. Sporting the team’s red and white colours, Pat’s started strongly; forcing some good early possession in the home side’s half. Despite their lowly league standing, Dundalk produced a valiant fighting display befitting the nine-time cup champions in the opening quarter, keeping lone striker Christy Fagan at bay. The border club’s determination wore out in the 20th minute, after Dundalk keeper Peter Cherrie produced a diving save but was powerless to prevent Browne sweeping home a six-yard shot from the resultant corner. Dundalk’s reaction was swift, with recent addition Barry Conlon sending a diving header inches wide of the upright minutes later. The game then descended into a lull, lasting until O’Connor teed up ex-Lilywhite Bolger for the visitors’ second goal in the 53rd minute. Having broken clear of the defensive cover, O’Connor capped a mesmerising run with a precision delivery, leaving substitute Bolger to easily steer a header past the despairing dive of Cherrie. With the home support now well and truly silenced, St. Pat’s went about finding the goal that would put their prospective place in November’s showpiece final beyond any doubt. And it duly arrived with 85 minutes on the clock. Instrumental in the first two goals, O’Connor finally added his own name to the scoresheet. Capitalising on Cherrie’s botched headed clearance, O’Connor fired past the stranded goalkeeper from 30 yards out, to cheers from the away crowd. With a 3-0 victory, Pat’s can now look forward to ending their half-century cup drought in their inaugural Aviva Stadium appearance next month. 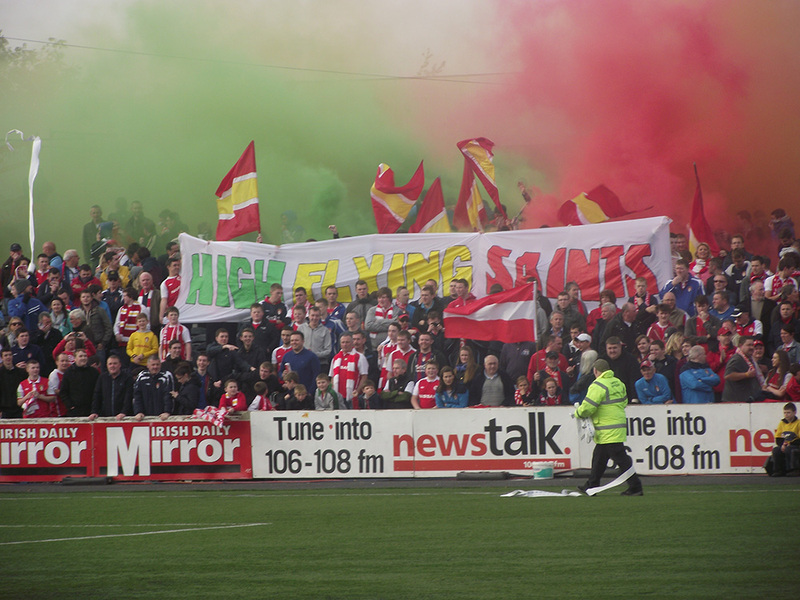 SSE Airtricity League preview: Will the title change hands?